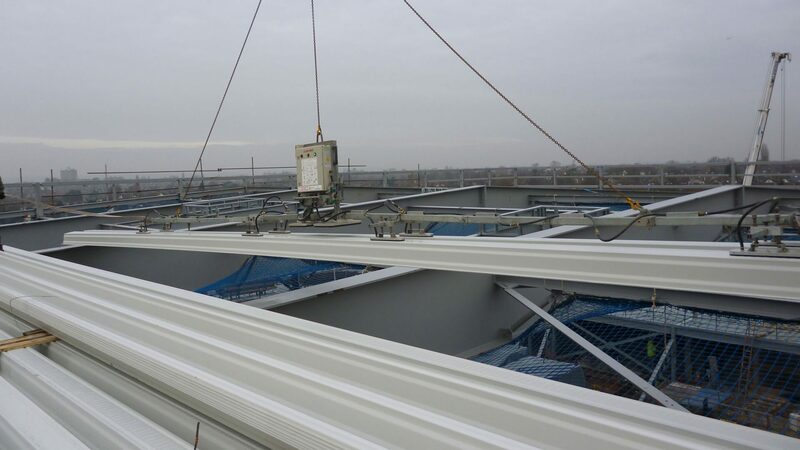 ICS design, supply and install deep structural decks suitable for supporting most roof constructions across large spans. This area of our business is specialist and is very bespoke to project specifics. We work very closely with either the project structural engineer or when the project dictates our own deck specialist engineer is engaged to provide calculations to help the project design team. Typically these specialist decks are rolled from steel coil and can be supplied in lengths to suit the structure, transport permitting. ICS utilise the latest handling machinery to comply with manual handling regs but mainly to install the deck as quickly as possible. Structural decks are ideal for forming barrel vault style roofs over curved main steel rafters.